A Zenair CH 601HD Zodiac ultralight (full c/n 6-3574/002 1097) departed from homebase Leer-Papenburg - EDWF to Norderney Airport - EDWY. 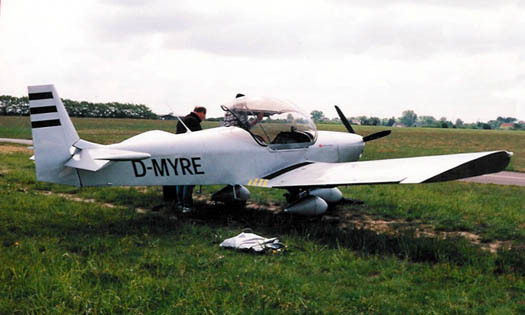 The pilot made a hard landing in strong crosswind conditions, causing the undercarriage to break. He executed a go-around and flew without undercarriage back to Leer. There he made a safe forced landing. Fire brigade and ambulance were not needed.